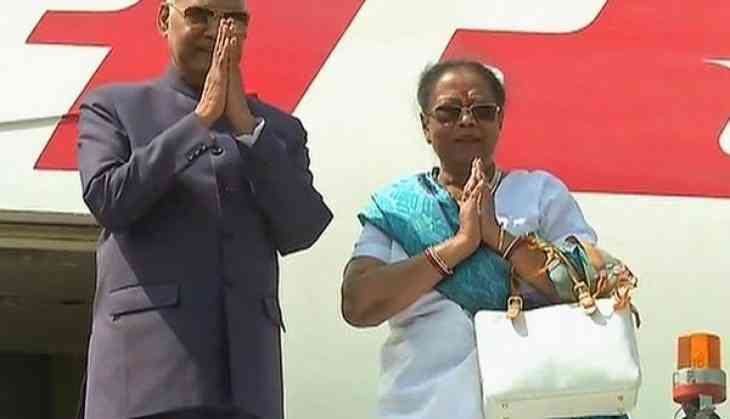 President Ram Nath Kovind and his wife and First Lady Savita Kovind on Friday arrived in India after completing a successful six-day tour to the African countries of Equatorial Guinea, Swaziland and Zambia. During his visit to the African countries, 10 agreements were signed - four each with Equatorial Guinea and Zambia and two with Swaziland. All the three countries extended their support to India to fight the menance of terrorism. President Kovind stressed that the Central government was giving importance to the African countries in order to strengthen economic ties. During the visit, the President addressed the Parliaments of Equatorial Guinea and Swaziland. He was also conferred with the highest civilian awards of Equatorial Guinea and Swaziland respectively.